Hashim is a man from Malawi who needs $733 to fund prostate surgery. Hashim is a farmer with a large family from Malawi. He lives with his wife and six kids, and together they have seven grandchildren. He spends his days farming, and enjoys reading the Bible in his free time. Since May 2018, Hashim has been experiencing pain and failure to urinate. These symptoms are caused by an enlarged prostate, a condition called benign prostatic hyperplasia. He needs to undergo a prostate resection surgery, a procedure in which surgeons will remove part of the enlarged gland. 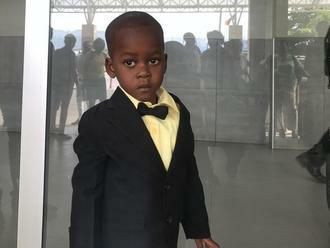 Our medical partner, World Altering Medicine, is requesting $733 to fund Hashim’s surgery. On February 14, he will undergo prostate surgery at Nkhoma Hospital, our medical partner’s care center. The requested money pays for supplies, medications, and two weeks of hospital stay. Hashim's case was submitted by Angela Quashigah at World Altering Medicine in Malawi. Hashim was submitted by Angela Quashigah at World Altering Medicine, our medical partner in Malawi. Hashim received treatment at Nkhoma Hospital. Medical partners often provide care to patients accepted by Watsi before those patients are fully funded, operating under the guarantee that the cost of care will be paid for by donors. Hashim's profile was published to start raising funds. Awaiting Hashim's treatment update from World Altering Medicine. Hashim is currently raising funds for his treatment. The primary condition treated with this surgery is benign overgrowth of the prostate, called benign prostatic hyperplasia (BPH). Patients generally present with urinary symptoms, including difficulty or inability to pass urine, urination frequency, passing very small amounts of urine, or passing urine very slowly. Some patients experience pain when trying to pass urine. Most Malawians live in rural areas, and a large percentage of them work as farmers. This is also true of our medical partner's patient population. When men are experiencing symptoms related to BPH, they often have a hard time working on their farms. They are therefore unable to support themselves and their families. Before receiving surgery, many men will have a catheter placed, which can be uncomfortable and embarrassing. Additionally, using a catheter for a prolonged period of time can lead to infection or trauma to the area. Although experiencing symptoms associated with BPH is not commonly viewed as taboo within our medical partner's patient population, it is rarely discussed. Men can feel embarrassment about the condition and the impact it has on their lives. Some men experience psychological effects from the condition. The standard treatment is a prostate resection, which is a fairly standard procedure. After the surgery, the patient will use a catheter for 14 days. Once the catheter is removed and the patient can pass urine freely, they can be discharged. If the treatment goes smoothly, it is expected that healthy patients will make a full recovery and not relapse. Although there are risks associated with any surgical procedure, the risks associated with a prostate resection are very low. However, as the patient population tends to be of older age, it is common that patients have other underlying conditions, such as high blood pressure. Patients who are candidates for this surgery are screened and monitored carefully. If a patient is found to have another health condition that could jeopardize their health during or after the surgery, that condition is addressed first. In the area of our medical partner's treatment center, there is one central, public hospital. That hospital provides surgical services, but barriers exist. A patient requiring a hernia repair could be on a waitlist for years at the central hospital, or be sent home and told to return a number of times. For this reason, treatment can be very difficult to obtain at the public hospital. In addition to our medical partner's treatment center and the central hospital, there are private clinics that would provide this service, but at a high fee. Our medical partner's treatment center, Nkhoma, is a great option for patients because they are able to receive quality treatment. Drugs can be used to relieve symptoms for a short period of time, but ultimately, surgery is the only treatment. 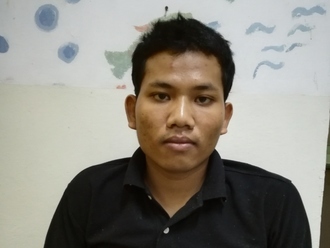 Siek is a 24-year-old blacksmith from Cambodia. He has eight other siblings and likes to listen to pop music and go for walks with friends during his free time. Last year, Siek suffered from a motorcycle accident that injured his left leg. He is now unable to walk and is in a lot of pain. Fortunately, surgeons at our medical partner, Children's Surgical Centre, can help. On February 18, Siek will undergo a fracture repair procedure, which will cost $430. This surgery will help him to walk again and relieve the pain. He says, "After surgery, I hope that I can walk again without any pain and go back to work."